Timeless design incorporates key classics that stand the test of time, can be used in any room, and never go out of style. 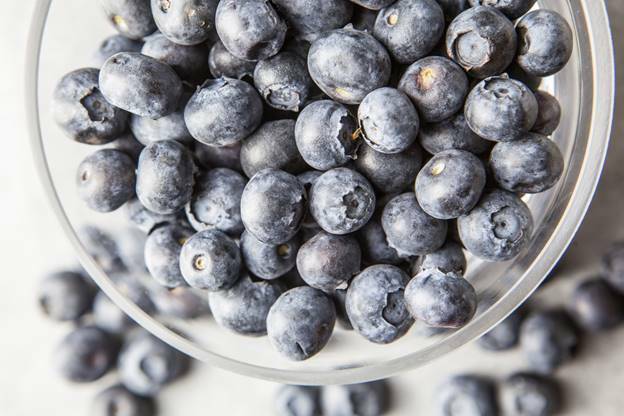 By having a home that has a timeless design, you’re ensuring that it will never feel stale and instead, will always feel fresh and up-to-date. Follow along for ideas on how you can implement designs that will never go out of style into your home. A classic home has balance, so it’s important that you keep this in mind when you are decorating your home. In a bedroom you’ll want matching nightstands and lamps, and in a living room you’ll want to incorporate matching chairs opposite your couch. With timeless design, it’s all about symmetry. 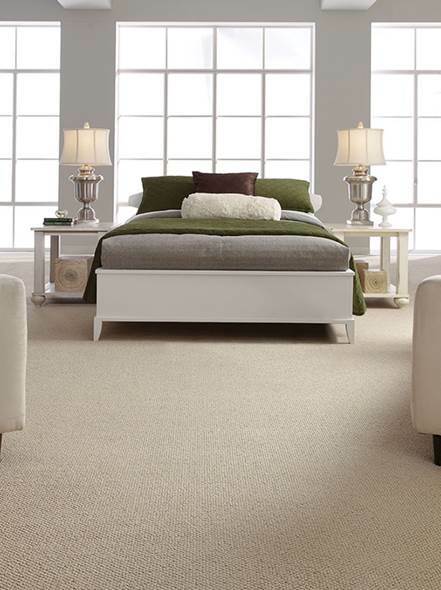 Having a focal point is another key component in creating a timeless look in your room. Focal points allow you to feel at ease as they give your eyes a place to rest. Elements such as a fireplace, a large window, or furniture are great focal points for a room. Incorporating classic patterns are another way to create a timeless design. Stripes, plaid, and florals are all patterns that can be used to create this look, but make sure that you stay away from trendy patterns, such as chevron. Marble and wood are materials that have remained timeless and have a longevity that will keep you from feeling restless. Choose the spaces that need a classic wow factor and these materials will never disappoint. 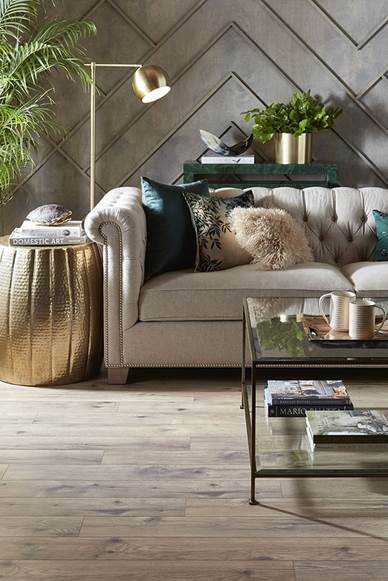 Metal finishes always come and go in terms of what’s on trend; however mixing metals will allow you to have a balanced look that can evolve through time. A matte iron finish paired with a soft, brushed brass or chrome paired with brushed nickel are pairings that lend to timeless decor. What is your favorite timeless design look? What is engineered flooring and what are the benefits? 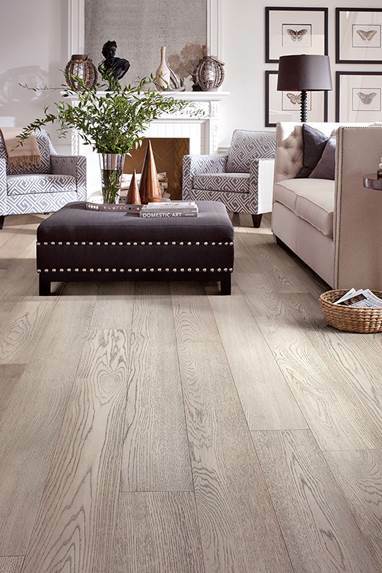 Flooring America explains how engineered flooring is made and how it can be used in your home design. 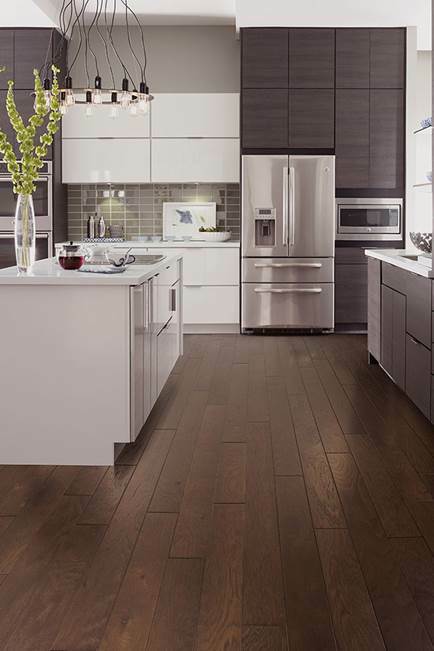 Engineered hardwood is constructed with durable, high-performance qualities in mind. It is constructed with multi-layers of hardwood and plywood; each layer is positioned in a different direction. This construction prevents the engineered hardwood from warping and bowing the way a hardwood floor might in moist areas. 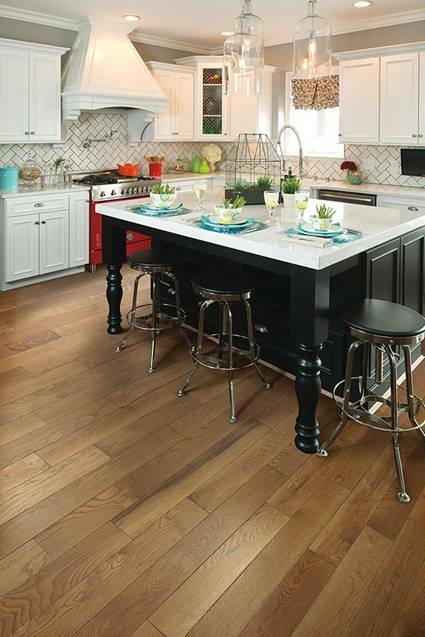 Available in today’s hottest species; hickory, oak, maple and more, engineered hardwood can offer a variety of styles for your home. 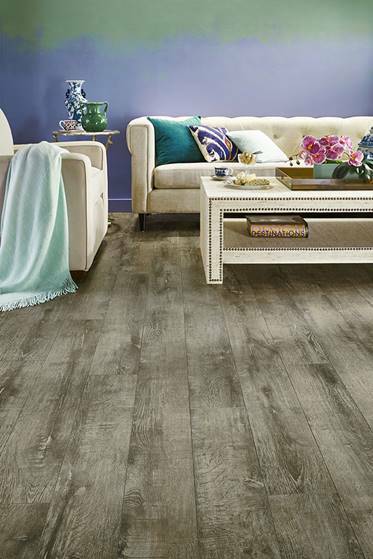 Not only are there multiple finishes available in matte, semi-gloss, and high-gloss, but engineered hardwood comes in a variety of surface effects such as hand scraped for a time worn appearance, distressed for a slightly rustic appearance, or wire-brushed. 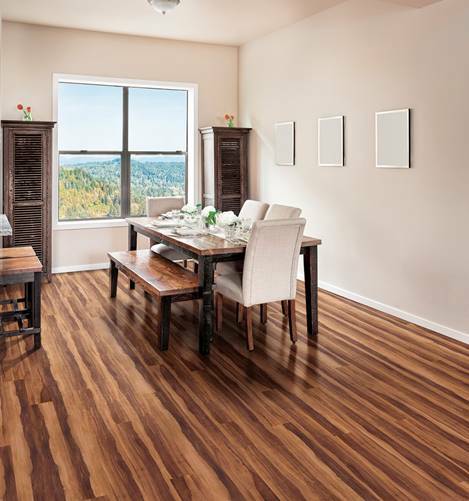 No matter your style, you can find a hardwood floor that best suits your home, and you can be sure it will be a beautiful, eye-catching statement with a durable surface. 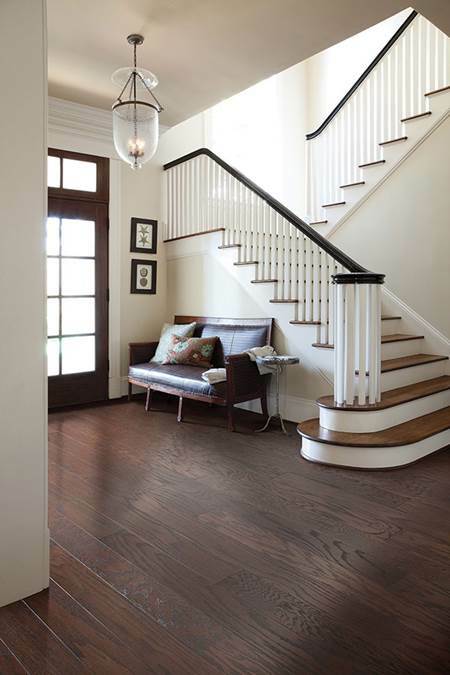 What is the Durability of Engineered Hardwood? 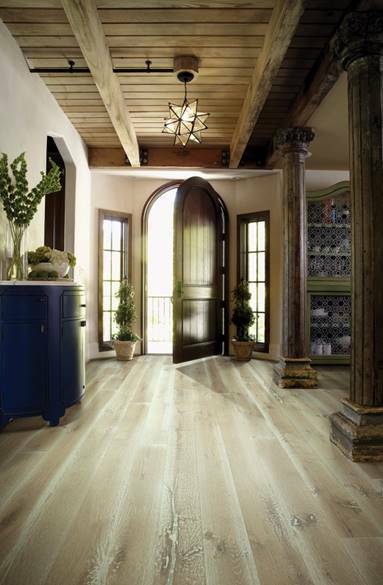 Depending on the thickness of the veneer that tops the flooring, the quality of flooring used, and how well you maintain your floors, engineered hardwood can last a lifetime. 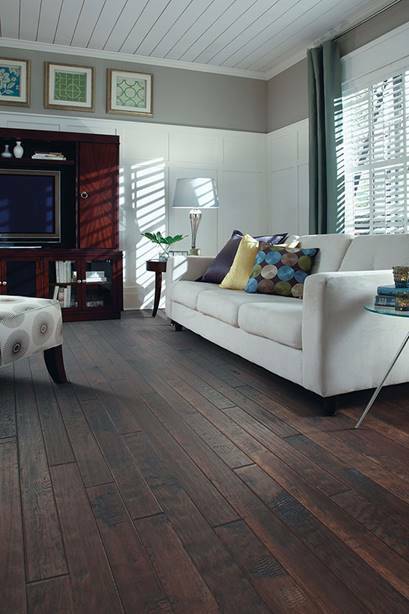 All 3 factors play a big role in determining the longevity of any floor in your home. Due to innovative manufacturing techniques, engineered hardwood can be installed in any room in your home, including your basement and bathrooms; as long as there are no extreme moisture issues and a protective moisture barrier has been installed. 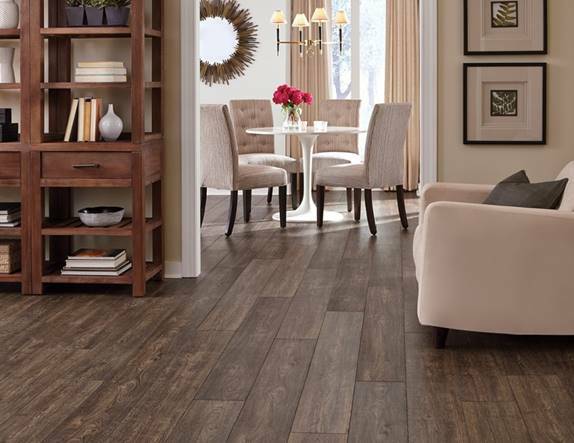 Less expensive than hardwood, selecting engineered hardwood will allow you to install this excellent flooring style in multiple rooms, getting more bang for your buck. For our quality, beautiful, and reliable engineered hardwood, visit our Floorcraft page for more information! With pets often being the most spoiled member of the family, it’s important to take into consideration their needs, along with your own. Everyone wants a home that is comfortable and safe for their pets, and that means choosing flooring that will provide them with comfort and safety, while also meeting the needs of your family as a whole. What are the Best Hardwood Floors for Pets? Hardwood floors are a fan favorite, but when you own pets, specifically dogs, you will want to consider a harder species like oak or hickory. 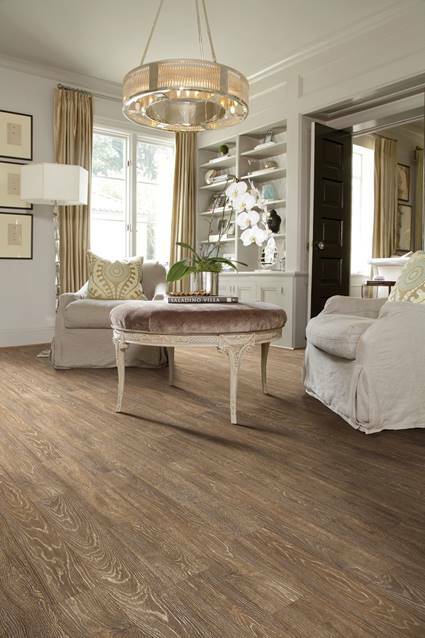 These woods have a distressed appearance and a tough Urethane finish, which will help hide everyday pet wear and tear. Since hardwood is slick, cold, and susceptible to scratches, it’s not going to be the best dog friendly flooring option for you. What is the Best Laminate Flooring for Pets? If you’ve ruled out hardwood due to cost and lack of comfort for pets, laminate flooring is an option, as it can give you the look of hardwood while also providing your pets with more support and comfort. 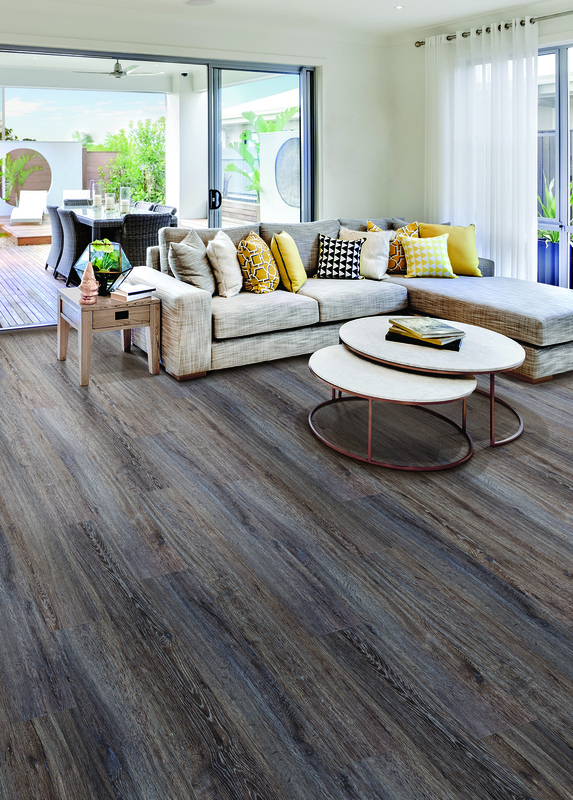 Laminate is made of 4 layers which work to absorb the heavy traffic and day-to-day use of a household. The wear layer protects the floor from pet stains, fading, and surface burns, making laminate flooring and dogs a great mix. With a water-resistant and easy to clean surface, pet accidents are no longer a big deal. Its slippery surface might cause your dog to have trouble with grip, so adding rugs to a room with laminate can make it comfortable and cozy for your pets. Are Luxury Vinyl Floors Good for Pets? 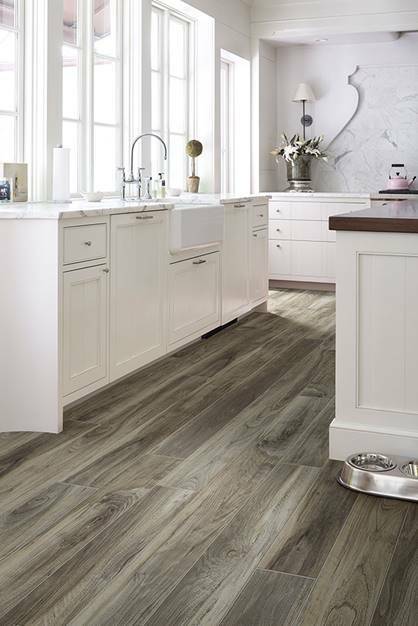 For households with pets who are accident prone or messy, vinyl flooring is a wonderful choice for you. 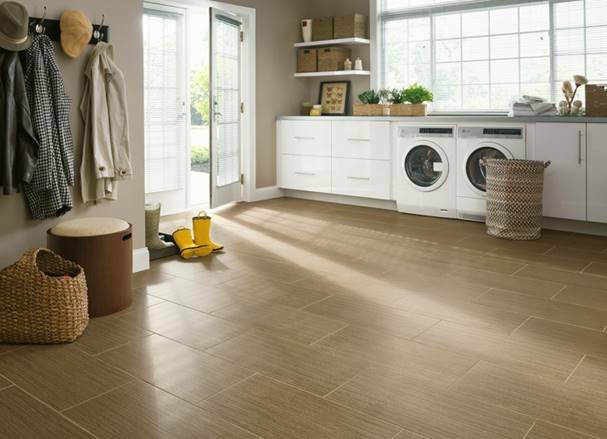 Not only durable and waterproof, vinyl flooring makes clean-ups a breeze. 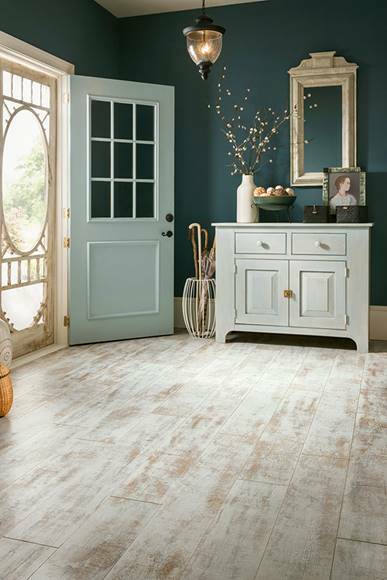 Vinyl has a protective top coat that provides ease of maintenance, which makes your floor resistant to scratches and scuffs and offers a wipe clean finish. The rugged versatility and waterproof characteristics make vinyl flooring and dogs a perfect pair. What is the Best Carpet for Pets? There is a general consensus that carpet and pets don’t mix, as fur and the dirt that comes off of them can get trapped in the carpet, or their accidents are difficult to get out of carpet. 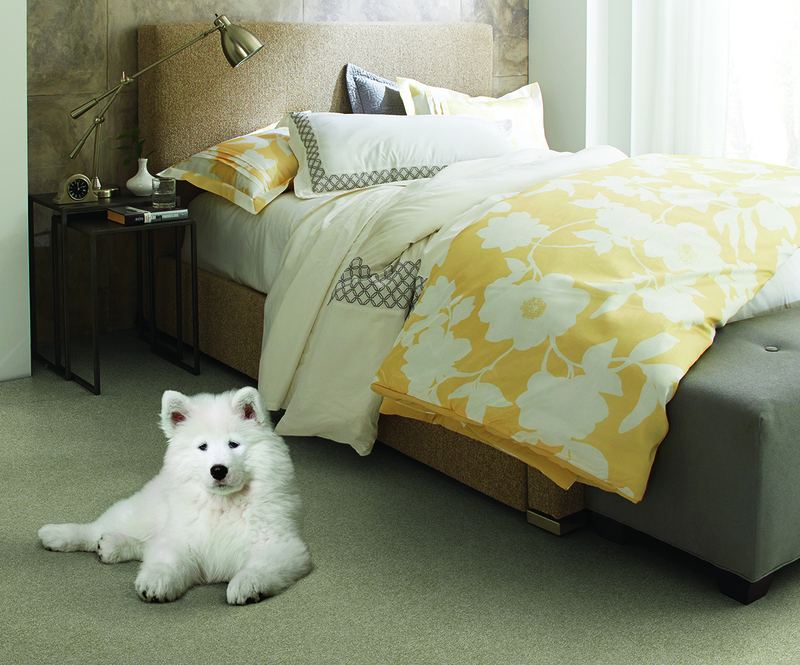 There are however ideal carpets for pets that can resist stains and accidents. 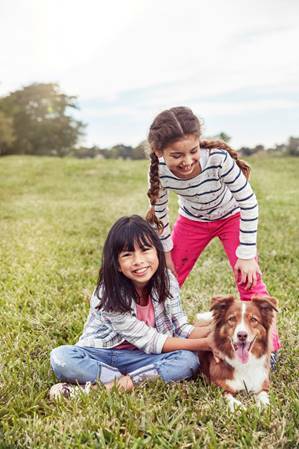 For a family with pets, it will be best to choose a carpet with nylon fibers, as nylon is the most durable and stain resistant carpet fiber when treated with stain protection. 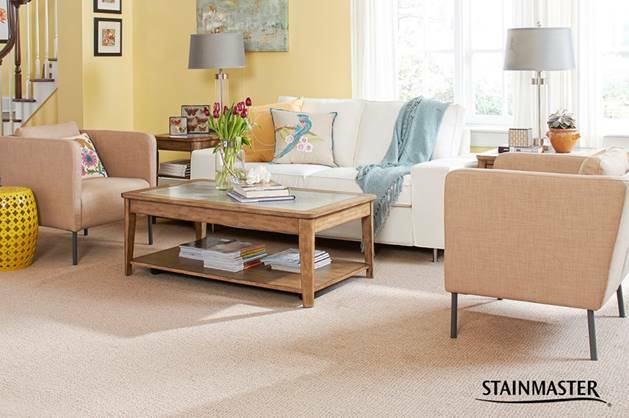 The best carpet for pets and high traffic areas are carpets that have been treated with static, stain, and soil resistant treatments, making them easy to clean and maintain. What is the Best Tile for Pets? 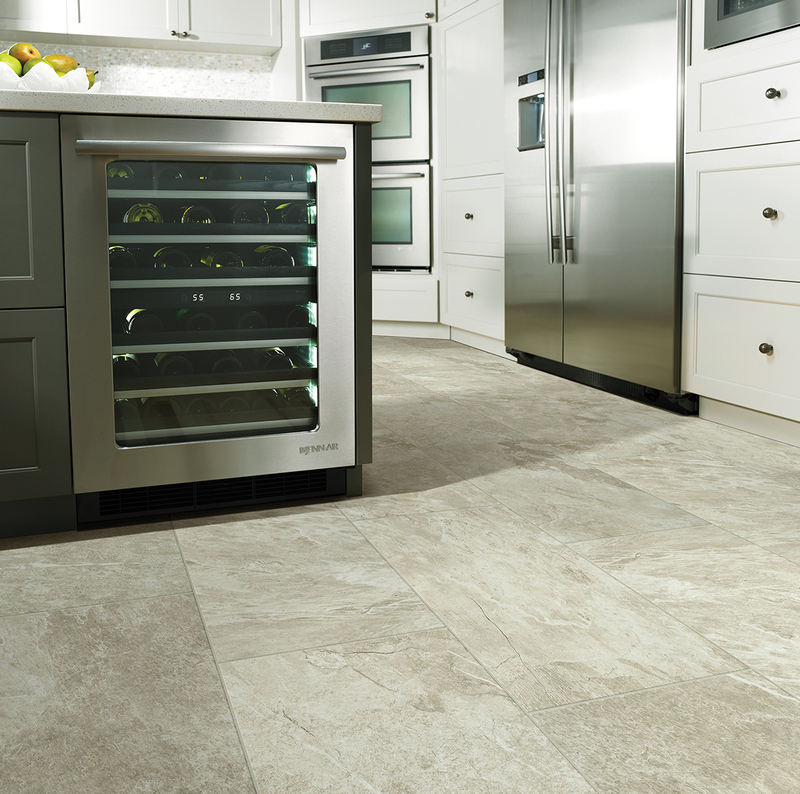 Tile may be the best flooring choice for a home with pets due to its long wearing durability, moisture resistance, and ease of maintenance. Tile is scratch resistant and easy to clean, making this a practical option; just remember that it can be hard, cold and slippery for both pets and humans. When considering the best flooring for pets and your family, always take into consideration how easy it will be to clean up accidents and how comfortable the flooring will be for both you and your pets. 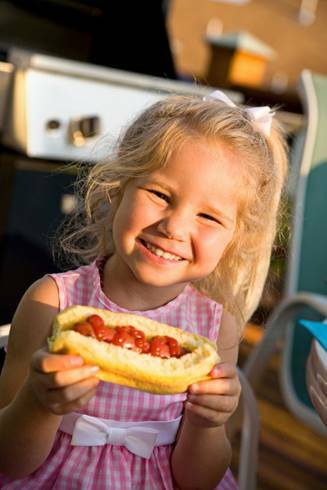 As always, make sure that you talk with a professional about choosing the best product for you and your family.